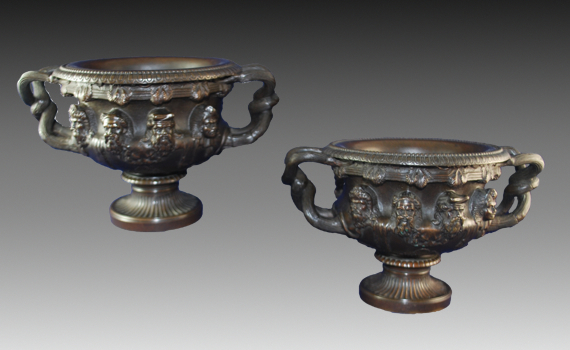 A pair of mid 19th century, continental, patinated bronze Albani vases after the antique. 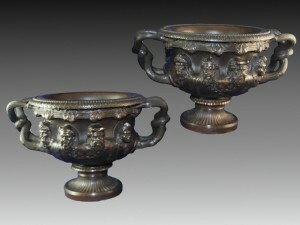 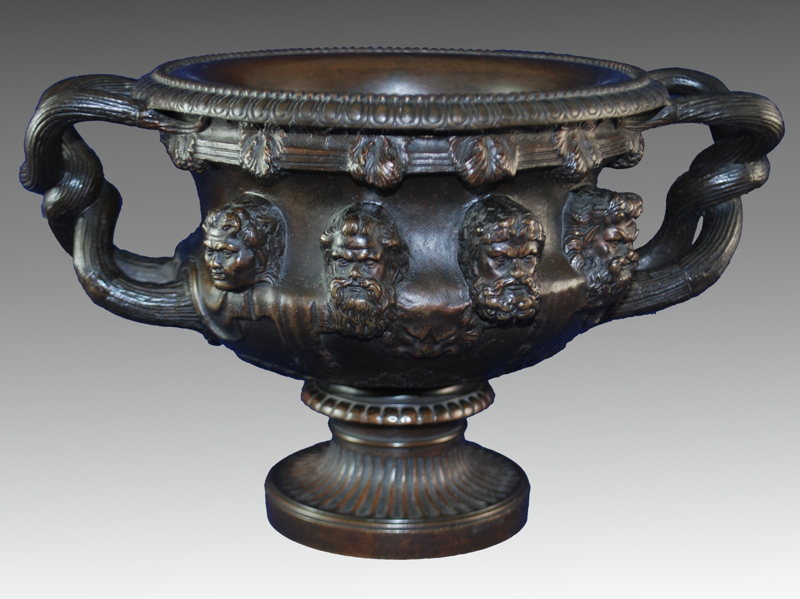 Each with bead moulded rim above a leafy edge with eight busts surrounding the waisted frieze, flanked by a pair of reeded twisted handles, standing on a flared fluted socles. 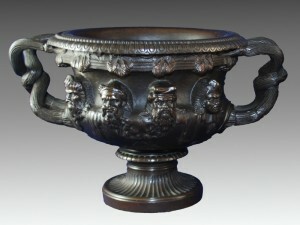 Dark brown patination. The original antique marble vase was at the Villa Albani.